As it was recently announced, the International Investment Bank is relocating to Budapest, but counterintelligence experts speaking to Index claim that the bank could primarily be used by Moscow as a cover for Russian financial and espionage maneuvres. The bank denies allegations of secret services affiliation. Follow Index in English on Facebook! Hungarian counterintelligence could have its hands full with the unprecedented immunities the Russian IIB enjoys; Hungarian authorities have no powers over the organisation, and its guests are free to move in Hungary and the EU as the country is obliged to provide them with diplomatic immunity. most spies arrive under diplomatic cover, as a diplomat, enjoying diplomatic immunity by default. Based on decades of experience, counterintelligence services have a high probability of assessing the diplomatic ranks certain countries prefer to use for placing intelligence agents, and when a diplomatic delegation is dispatched, the host country receives the list of delegation members beforehand, which is checked by counter-intelligence. Hungarian services forward the names to the partner services of fellow NATO members, who signal back if and when they have "dealt" with that person before. If the services receive such a notice, they pay closer attention to the diplomat concerned - of course, with the response depending on the activities carried out by that person as well. For instance, if that diplomat has regular trips to a certain country, it can be assumed that the diplomat is likely to be carrying out an intelligence operation, therefore it's better for the services to get to work. That is of course, just an example, but that is pretty much the basic task of counterintelligence services in such a situation. 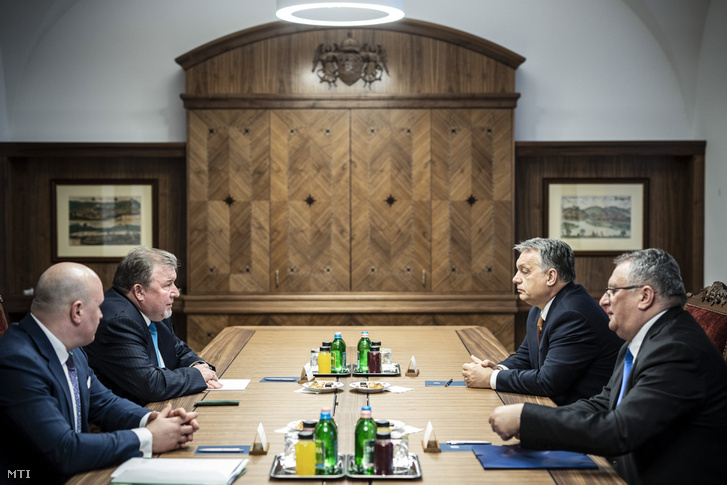 IIB's relocation to Budapest discussed between Prime Minister Viktor Orbán (r2) and IIB president Nikola Kosov (l2) at a meeting on 28 January 2019 in the Prime Minister's office. But this stands for intelligence agents under diplomatic cover - there are also the so-called "illegal agents" who are more difficult to filter. Hungary is in a special situation, as before the fall of communism, Moscow deployed agents - with the knowledge and consent of the Hungarian Ministry of Interior Affairs - about whom it was impossible to tell that they were spies, as there were no clues, precisely because their task was to infiltrate society, with some of them moving on to other countries from Hungary, covering up their country of origin. Soviet intelligence used to employ Subcarpathian ethnic Hungarians for this purpose but after the fall of Communism, these illegal intelligence agents got "stuck" and stayed in Hungary. There could be a couple of dozens of people in this situation, experts say they are mostly over sixty and have disappeared into the sphere of politics and public administration. Counterintelligence, of course, tries to keep an eye on them, but their effectiveness remains a question. Back to IIB: the risk this organisation poses to national security is that its employees enjoy the same immunities as those in Russian diplomatic delegations. Achieving this was vital in establishing Russia's ability to send covert agents to Budapest. If the bank's employees and guests wouldn't enjoy this immunity, the situation of Hungarian secret services (and secret services of other countries "curious" about Russia) would be much easier. Have no doubts: the fact that this bank can establish its headquarters in Budapest under such extraordinary conditions will attract the attention of other Western, mostly NATO-member states' secret services, but of course these agents surveilling possible Russian movements will not have "SPY" written all over them in large letters either. We have asked experts well-versed in intelligence and counterintelligence (who prefer to remain anonymous for obvious reasons) to tell us what Russian spies could possibly be doing here, and how the protection offered by the bank's immunities could be serving them. create dependence by providing loans to people in key positions. This is all made a lot easier by the fact that the bank can basically do whatever it wants. According to the agreement entered into by the Hungarian government, the bank, "notwithstanding financial controls, regulations or moratoria of any kind, may freely receive, purchase, hold and dispose of any funds, currencies, financial instruments, securities and gold, operate accounts in any currency, engage in financial transactions and conclude financial contracts." The bank can also "transfer its funds, currencies, financial instruments, securities and gold, to or from the Bank or within the Bank and convert any currency held by it into any other currency, and carry out any other banking or investment activities"
Hungarian Minister of Foreign Affairs Péter Szijjártó (r) meeting Nikola Kosov at the Ibis Styles Budapest Airport Hotel on 20 March 2018. In terms of counterintelligence, the given bank's weight in the financial sector is a question that should not be overlooked, and quite frankly, the IIB is hardly a big fish on this market. The numbers support this notion: The bank's total equity of €1.3 billion dwarfs in comparison with the European Investment Bank's €243 billion. According to the counterintelligence experts, this strengthens suspicions that the key factor in bringing IIB to Hungary may not have been its official activity. Apart from its ability to hide financial transactions, the bank is also useful for the spies' legends. The Government shall take measures to facilitate as promptly as possible the entry into, residence and freedom of movement in, and departure from Hungary of the following persons irrespective of nationality. The importance of this clause is that if Russian secret services were using the bank, this is exactly what they would need. This does not only provide seamless entry into Hungary but also allows them to freely travel on to other countries of the Schengen area. The bank - provided it serves Russian secret services - would therefore not only be useful for planting agents in Hungary, but also for "transit". Providing legend for an agent on a mission abroad is probably the most difficult task for any agency. A legend is needed first for crossing the border, then for the operation itself, and the two are oftentimes different - an agent often enters a country under one identity, while assuming another for completing the mission. Nikola Kosov holding a speech after signing the letter of intent about opening the regional office of IIB in Budapest on 18 June 2018. In practice, this means that the Russian intelligence agent enters the country, switches identities, and travels on to his or her target destination within the EU. The agent carries out the operation, returns to Budapest and "changes back." An operation in another EU member state can entail many things, such as placing "dead drops." A dead drop is a message left behind at a secret location for another agent (ever since the information technology boom and as satellites can reveal more and more, spies have reverted to methods from the cold war era; they prefer analogue technologies such as leaving containers in forests, markings on trees at derelict areas). If agents need to meet assets they handle personally, they typically do that in a third country not necessarily within the EU, like a state in the Balkans. The fact of the matter is that people who can enter Hungary with ease upon the bank's invitation can move onto other countries just as easily. Diplomatic immunity can grant a huge wiggle room for a foreign, in this case, Russian secret service, and a bank provides even better cover than an embassy, which is a pretty closely defined institution. On top of that, an embassy's staff cannot be expanded indefinitely. The more doors the Hungarian government opens for potential spies, work for Hungarian counterintelligence becomes harder and harder. "The more organisations the Russians have that can provide cover, the harder it is to trace them, as they are diversifying and raising their numbers," one of the counterintelligence experts told Index, explaining how their job (and the job of the partner services) became more difficult due to the agreement entered into by the bank and the Hungarian government. On top of all this, the bank is in an excellent position to gather scoops and information due to their activities financing the private entrepreneurial sector. Covert agents working at the bank have access to sensitive information that could be useful for other operations - "gathering scoops" is the observation of potential assets and the assessment of the best possible method to recruit them, ranging from bribes to the use of kompromat. With all that said, the claims of the security expert who spoke to the New York Times do not seem far-fetched at all. He said that the "the banking arrangement presented an opportunity for Mr. Putin to replenish his spy corps after the expulsion of scores of Russian officials from Europe and the United States [...] in retaliation for the poisoning of a former Russian spy in Britain." 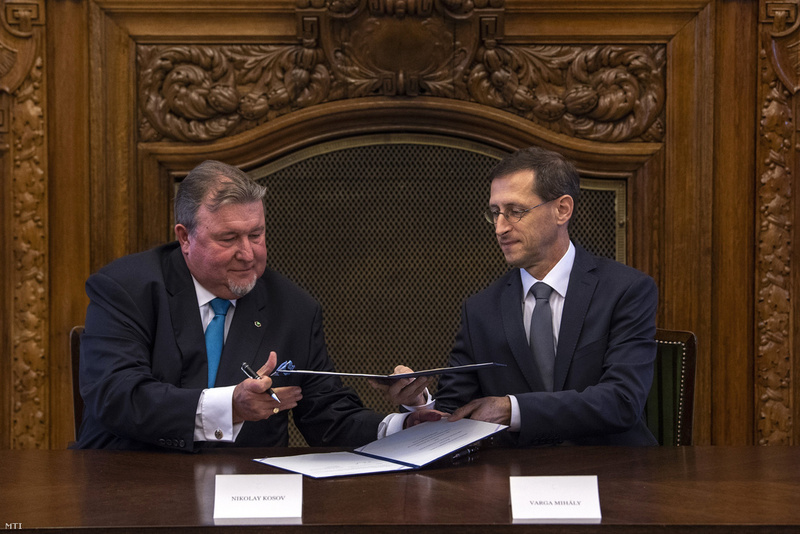 Hungary's Minister of Finances Mihály Varga (r) and Nikola Kosov (l) signing the letter of intent about opening the regional office of IIB in Budapest on 18 June 2018. The icing on the cake is that Nikola Kosov is the heir of an old Soviet spy family. 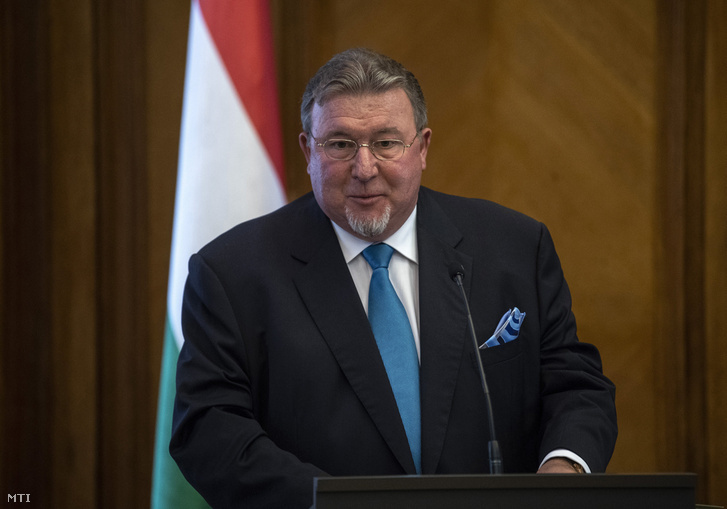 His father used to work in Hungary as a Major General of the KGB, and in all likelihood had his connections at the Foreign Intelligence Service (SVR) as well, the organisation succeeding KGB specialising on foreign intelligence and espionage operations. Hungarian historian Krisztián Ungváry had previously claimed that it is "completely obvious" that the former bank of the Soviet trade bloc that was recently reactivated serves as one of the spy rings operated by Russian secret services as part of their espionage network. The fact that this bank is relocating to Budapest where it is allowed to operate with no restrictions whatsoever, outside the jurisdiction of Hungarian authorities poses a serious threat to national security, as Russia is not a NATO-member, and as such, it is doing everything in its power to cause disintegration in the NATO and in the European Union. The bank denies being the trojan horse of Russian intelligence. The Hungarian government's decision to accept the bank and provide it with all conceivable immunities is rather surprising, given that Hungary had resigned from the International Investment Bank during Viktor Orbán's first government term saying that its activities lack the necessary transparency, regarding it basically as a risk to national security. The bank was founded in 1970 by members of the Soviet bloc's economic organisation, the Council for Mutual Economic Assistance (COMECON for short), which is why it's often mentioned as the COMECON bank. With the disintegration of the Soviet Union, the bank was also left behind by its members, that is until Putin reactivated it in 2012 under the new name of International Investment Bank. Even at this time, it was common knowledge that Russian secret services are trying to expand their influence over Europe, which is why it startled some when Hungary had once again acquired equity in the bank - besides Cuba, Mongolia, Vietnam and four other EU members: Bulgaria, the Czech Republic, Slovakia, and Romania. Last year it was revealed that IIB is opening a regional office in Budapest, and then in December, negotiations were already about the terms under which the bank's international headquarters will relocate to Hungary. The government claims that this means new financial possibilities for entrepreneurs, however, based on the claims of intelligence experts, these possibilities could come at a harrowing price. This article is the direct translation of the original published by Index in Hungarian. The English section of Index is financed from donations.